Explore the new Java 9 modules, SDK, JDK, JVM, JShell and more in this comprehensive book that covers what’s new in Java 9 and how to use these new features. Java 9 Revealed is for experienced Java programmers looking to migrate to Java 9. 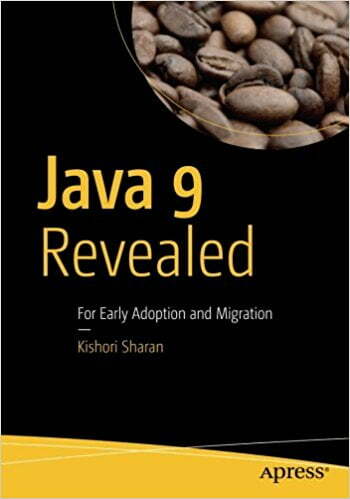 Author Kishori Sharan begins by covering how to develop Java applications using the new module system introduced in Java 9 and how to use the JShell tool in Java 9 for prototyping, compiling and testing. The book provides extensive coverage of new Java 9 features, such as the new layout of the modular JDK/JRE runtime image, new convenience factory methods for creating collections, the new spin-wait hints introduced to improve performance of spin loops in your code, and the new Desktop API for implementing platform-specific desktop features. Along the way you will also learn how to use the Reactive Streams API in Java 9 and, most importantly, this book will show you the breaking changes in Java 9.